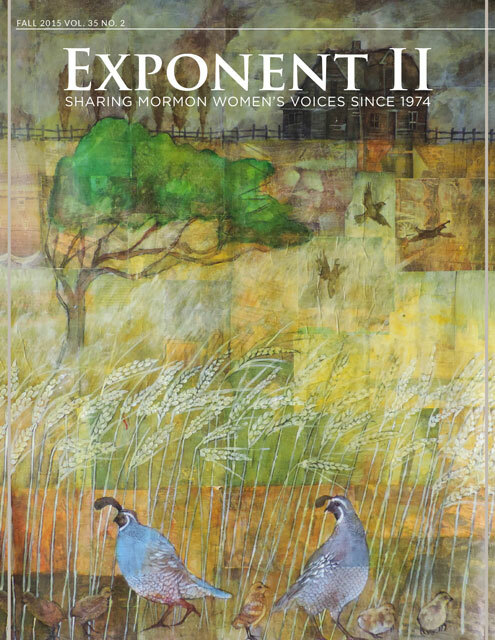 WELCOME TO THE EXPONENT BOOK REVIEW SERIES AND CYBER MONDAY GIVEAWAY! Over this week and ending on Cyber Monday, we will share our thoughts on books that we think you should consider as possible Christmas gifts for yourself and others! As in the past, everyone who comments on a post will be entered into the draw to win a copy of one of the books that we have reviewed! (Choice of electronic or hard copies in the domestic US, digital copies outside of this area). Your comment on each post gives you one entry (multiple comments on the same post will not give you additional entries.) This year, we are adding comments on the Book Review posts shared on the Exponent Facebook page in addition to comments on the blog. Want to win a copy of this book? Leave a comment! I asked to review this book because I served my mission in Baltimore, and so whenever the city comes up (Serial, The Keepers) I’m hooked. Reading it gave me delicious feelings of missionary nostalgia, from the descriptions of the neighborhoods and apartments to of course the wonderful people. However, you do not need to have a peculiar affinity for Maryland to enjoy this book. The book is a collection of conversion stories of African-American women presented by Laura Rutter Strickling, who is a white woman. However, Strickling engages with her whiteness in a conscious way and identifies the ways her race has an impact on the interview process. For white readers, this can serve as a valuable and gentle introduction to thinking about whiteness and engaging with race. Although the author is white, she privileges the voices of the women that she interviews and each chapter includes long transcriptions of black women talking about their own experiences. In a church that tends to elide over racial identity and avoids acknowledging racist history, this book offers a welcome addition to a home gospel library. The stories are raw and tell of cruel realities of segregation, racism, poverty and abuse. This is not chicken soup for your soul, but it feeds deeply. One sister, Delilah, told of her situation before she found the church. She had been in an abusive relationship with her husband who took her money and spent it on other women. One day in anger he “pushed me down to the floor. Then he pointed a gun to my head. It was horrid. And he beat me up.” So she left with her two boys but “we didn’t have food, no electricity, no heat, no nothing.” She was sitting in her church and the preacher said they needed money for their building fund and that God would bless them, so she gave the $20 in her pocket. Thus far it sounds like a standard heartwarming story about tithing. But no. “When I got home I suddenly realized that I had gave him the last of my money – all I had left! I didn’t have money to go and buys soap powder or food for my kids. I was so upset, and I said, ‘I’ve had it!’ I said ‘This is it! I’m mad God!’ I just screamed it out at him. I said ‘God if you got somebody else to get me back to church you better send them to me, because this church is the wrong church! I have no money left! I gave it all away, and I can’t do this anymore!’” A few days later the missionaries knocked on her door and taught her the plan of salvation. You feel a hunger for spiritual food and want stories that strengthen your testimony. You are a person of color and you are sick and tired of only hearing about white people in the Gospel. You are a white person and you are trying to be a better ally by listening to more voices of people of color. Yes, the author is white, but this is a place to start. You have a racist-but-doesn’t-see-herself-that-way LDS family member. The topic of the book is non-threatening. It is a book of testimonies that affirm the church. But it is also a book that talks honestly about hard realities for the poor and for people of color that too often get treated glibly by “I’m not racist if people worked harder they’d succeed” folk. One woman talks about what it is like to have her children taken away by the state. Another talks about having a child murdered by gun violence. Many of them talk about the realities of poverty and how state-sponsored racism has had an impact on their lives. The long-reaching effects of segregation and other racist policies is apparent, even after those policies are formally abolished. If you’ve wanted to open a door to a hard conversation, this book will do it with gentleness and love. This is what I’ve been looking for. Faith affirming but not sugar coated or simplified. Real. We all need more stories from women of color in our lives. I would love to hear these perspectives. I am interested in this book as I lived in Baltimore for two years and interfaced with several black Mormon sisters.